Home / ALBUMS / Snoop Dogg / Album Stream: Snoop Dogg "Make America Crip Again"
Album Stream: Snoop Dogg "Make America Crip Again"
On Make America Crip Again, Snoop Dogg seeks to use his influence for good, urging his followers to rise to action and make the world a better place. Though the title of M.A.C.A. is a direct challenge to the current administration, the tape itself does not dwell on divisive political issues, instead focusing on the funky gangsta music that Snoop made his name on. Distributed by EMPIRE, "Make America Crip Again" showcases all sides of the legendary rapper, from the loving husband on "My Last Name," to the quintessential stoner on "Dis Finna Be a Breeze" the streetwise OG on "None of Mine," and the player on "3's Company," a club-ready, very West Coast banger premiered by Complex earlier this week. 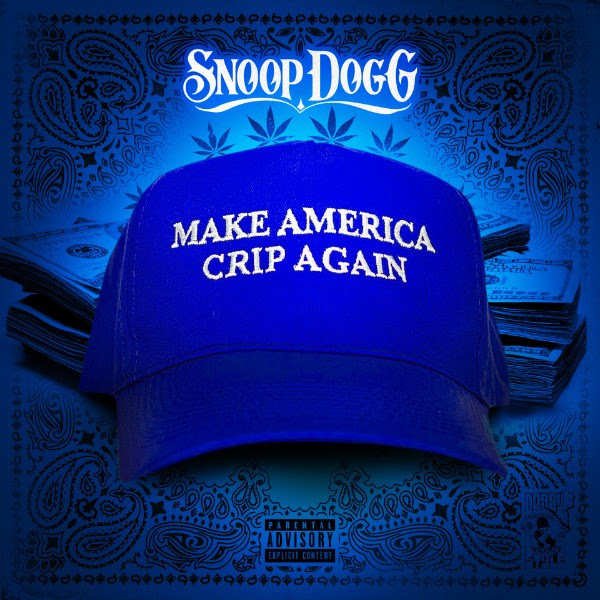 Featuring appearances from Chris Brown, OT Genasis, Ha Ha Davis, Designer Flow, October London, and Shon Lawon, with production from Ben Billions, Dâm-Funk, Los and more, Make America Crip Again is a compact but impactful work that reiterates why Snoop is one of the most successful rappers in history.